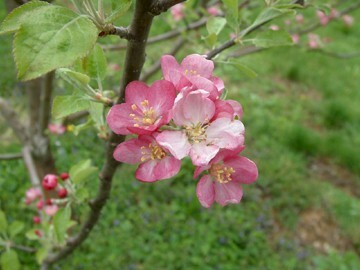 A beautiful apple with startling bright pink flesh and very attractive crimson-pink blossoms. Introduced in 1944 by the renowned California plant breeder, Albert Etter, Pink Pearl is a wonderful table apple which makes a beautiful and tasty pink applesauce. 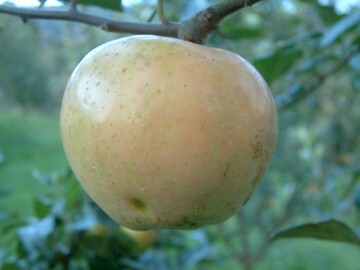 Fruit is medium-sized with a distinctive conical shape. The skin is creamy pale green with bright pink flesh. Flesh is crisp, fine-grained and aromatic with a delicious sweet-tart flavor. Ripens in August.